how did I forget to blog the newest member of our family?! Zero has been with us for almost 3 weeks now and is a constant source of delight. He is so funny to watch chasing his tail or stalking/chasing a fly. And the peace and harmony when he curls up on my chest of an evening and purrs! He’s been sleeping on the spare pillow on my bed. I am so glad I decided it was time to get a new cat! When I finally acted on it I posted on facebook a simple status message that ‘Jude needs a kitten’ and within half an hour a friend posted her friend had some almost ready to go….and now I have little Zero who’s mum is half Birman and who was born on my birthday! Some things are meant to be! picture to follow – its on the other computer oops! 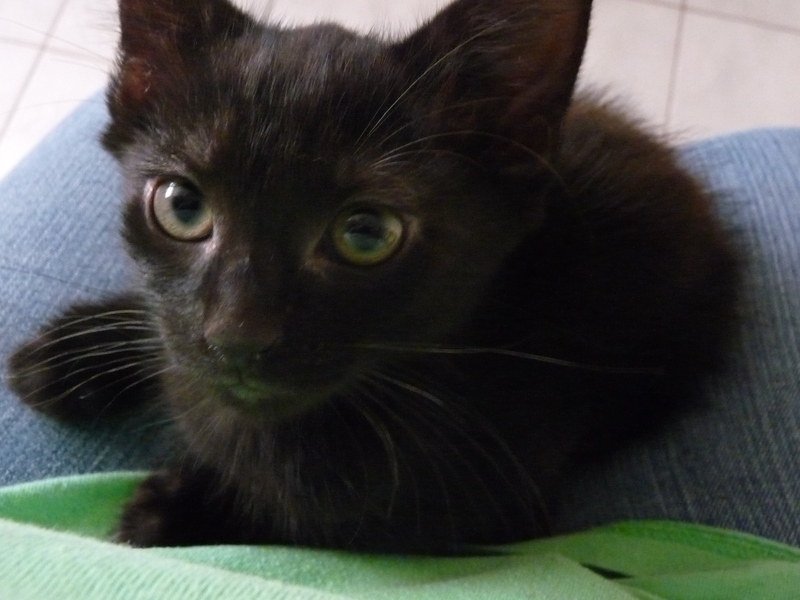 Zero the day he came home, sitting on my knee! and I have been busy planning a bonza Aussie BBQ at my place. I will have (including me and the boys) 6 adults and 5 kids here for Australia Day and the menu is looking good….yet to be completely finalised but so far (and with the help of vibe village for contributing marinades, chips, pitos and chocolate) we will be enjoying something like this…. 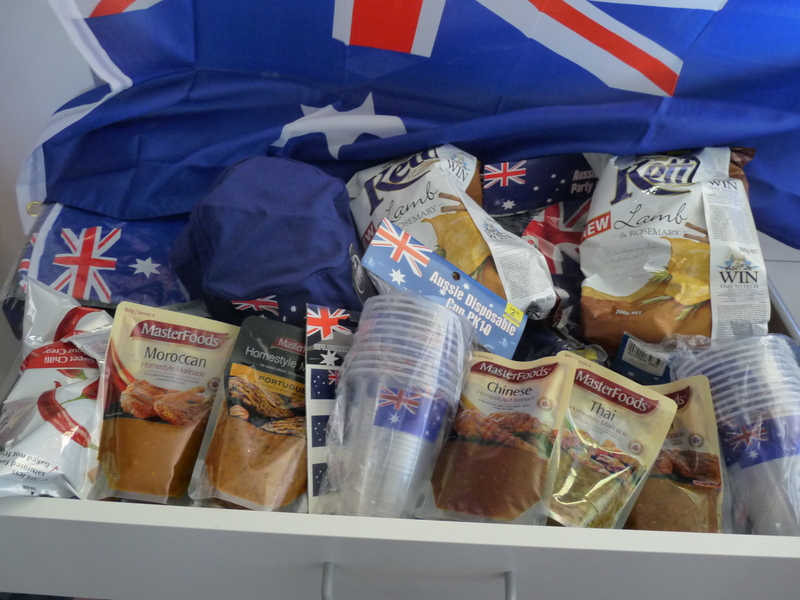 And we have Aussie plates, cups, a flag, hats for the kids, apron for me, temporary tattoos, beach ball etc to make a real Aussie celebration (looking at the food I’d say we are also celebrating multiculturalism)! Now just to finish cleaning up and get everything on sticks and marinading – oh and make the pav etc! I’ve been buying things a bit at a time mostly at $2 shops – dread to think how much I have spent though!